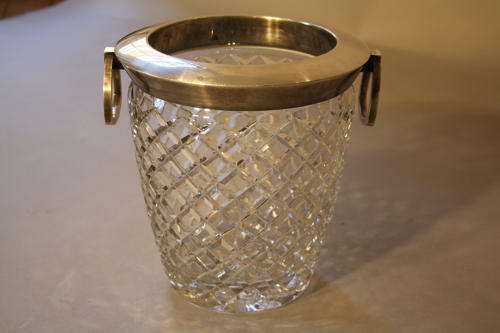 A good sized cut glass and silver metal rimmed champagne or wine cooler. Lovely stirrup shaped handles. Stamped with unknown makers mark (St Medard?). Great weight and quality. French c1940.